Paramedics say dozens of Montreal's new ambulances are unsafe because their stiff suspensions can cause a patient to be tossed around in the rear cabin. Montreal's fleet of new ambulances — which could end up costing nearly $10 million — has an assortment of problems, paramedics say, not the least of which is that the vehicles' stiff suspensions can cause patients to be tossed around in the rear cabin. That can lead to significant pain for people with fractures, aggravate injuries and inhibit paramedics from properly treating patients while an ambulance is in motion, they say. The city's emergency medical technicians also complain the latest model of ambulance has too little leg- and headroom in the cab, and causes frustration because the electrical systems time off automatically after the engine is shut down. CBC News spoke to 27 paramedics with Urgences Santé, the Montreal and Laval ambulance service. All of them voiced concerns about the new vehicles, which the service began acquiring in 2010. But amid fear for their jobs, just one was willing to speak on the record — and even then only anonymously — about the problems. "Every time we have a bump or there's a vibration, that's going to increase the pain, especially elderly people who have a hip fracture, which is very common — even if we do a proper immobilization of the leg, they would suffer more," he said. "For the patient who has fractures, who has traumas, they are getting very sensitive to the vibration… so it's very painful for them." Even more critically, the EMT said, is that the bumpier ride makes it harder to treat patients while driving to a hospital. "It can be problematic also when we have to ventilate a patient. We have to keep a seal on the face, and if we didn't succeed to put the proper seal, there's a leak of oxygen and the tools that we're using don't work properly." 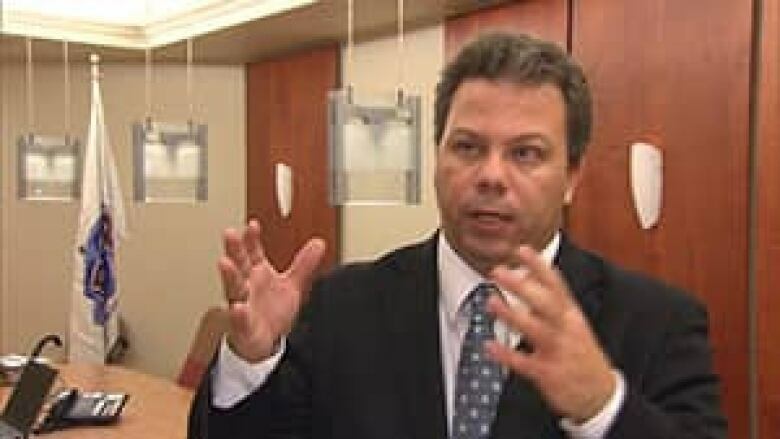 Listen to CBC Peter Akman on Daybreak Montreal, talking about the new ambulances and paramedics' concerns. Another concern is the automatic electrical shutoff. In Urgences Santé's newer ambulances, the emergency and interior lights, and anything else that draws on the battery, powers down 20 minutes after the engine's turned off. EMTs say that's an issue because they shut the engine off when doing an electrocardiogram. If the lights then go out, turning them back on requires restarting the ignition. "We have to turn the engine off to make a proper EKG because the vibration of the engine can cause artifacts in the EKG, so we turn off the engine and then the lights get off. 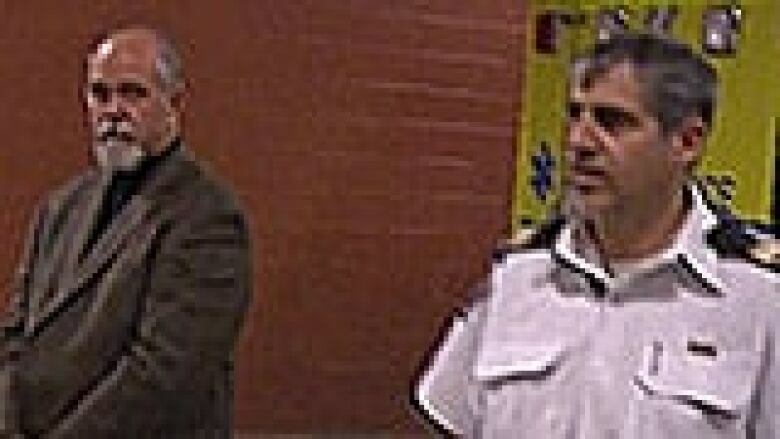 It's kind of problematic there," said the paramedic who spoke to CBC News. The concerns aren't falling on deaf ears. The head of the province's paramedics union knows firsthand what a ride in the newer model ambulances means, and said he hopes it's the end of this line of vehicles. "This is a rough truck, it's a rough ride. It's not comfortable to work in. It's not comfortable for the patient inside," said François Trudelle, president of the Federation of Paramedic Service Employees of Quebec. "The roads in Quebec are not that smooth. So patients who suffer from injuries get a very painful ride to get to the hospital. Say you have a spine injury. Yes, it might be more painful and you might maybe aggravate your injury. Pain-wise, it's a killer." Urgences Santé, too, is aware of its employees' complaints, but it maintains there's no risk to patient safety. Still, it's working with General Motors Canada, which makes the chassis for the new ambulances, to improve the suspension. The electrical shutoff won't likely change, however; it's a deliberate move to preserve battery life. Michel Pelletier, director of engineering for Demers Ambulances, which assembles Urgences Santé's vehicles, said the agency's paramedics "kill batteries all the time" because while waiting for a call to come in "they leave everything on." There's also little that can be done about the cramped cabins, at least on existing vehicles, plus dozens more of the same type that are on their way. The new ambulances — there are nearly 40 in service now with up to 40 more to come — are built on a chassis from General Motors called the Chevrolet Express 4500 cutaway van. Older vehicles in the fleet use a Ford E450 base. While the two types of chassis are rated to carry roughly the same weight, the Chevy's suspension is not as supple. Quenneville: When we put the Chevrolets into service, we got a lot of complaints about the back end, which was very stiff. After 60,000 or 70,000 kilometres of use, we still have complaints, but I'm told the rear suspension is less stiff than it was. Sasson: I don't want to talk about "complaints" but rather "comments." Let's make it "comments" instead of — let's just do it that it's more "comments from the paramedics" rather than "complaints." Quenneville: But we still have comments that the rear suspension on the GM is relatively strong, more rigid. That's part of the design of the Chevrolet. Urgences Santé had no choice, though. It changed to the Chevy because Ford abruptly stopped making its diesel model, and all the organization's fuel infrastructure and repair shops are based around diesel. "We use diesel, and Chevrolet is the only diesel that's available for us to buy at this point," spokesperson David Sasson said. But it does have a choice about which Chevy model to use. In tests done by Demers Ambulances, the slightly less heavy-duty Chevrolet 3500 had a smoother ride similar to the Fords. The catch is that the 3500 is built with a softer suspension because it's rated to carry 860 kilograms less weight than its more rugged cousin. Urgences Santé could switch, but it would have to ditch a lot of equipment from its ambulances. That's likely what will ultimately happen. 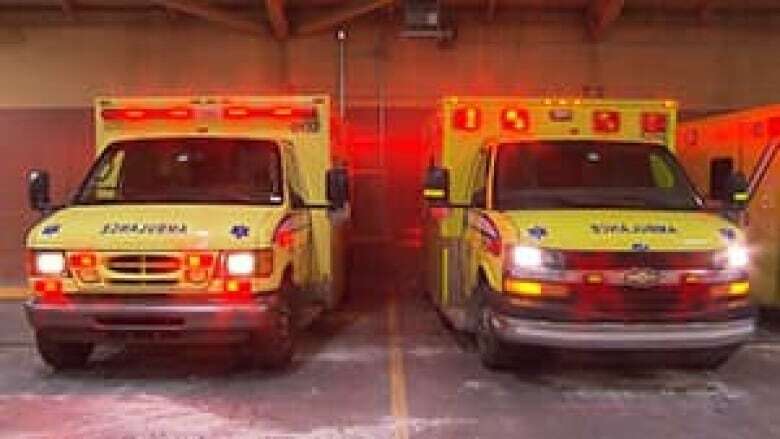 Quebec wants to standardize all 500 ambulances in the province, including Urgences Santé's fleet of 154, over a five-year period starting next year. And one of the two prototypes being built by Demers Ambulances is based on a Chevy 3500. "Urgences Santé has taken the lead on it to determine the specs, what inventory goes in them," Sasson said. "At the end of the day, we're going to please as many people as we can. Our goal is to build the perfect ambulance." Watch CBC News Montreal tonight for more on this story. Tomorrow, we take a deeper look at the benefits and pitfalls of Quebec's plan to standardize ambulances across the province.